In an increasingly competitive marketplace, broadcasters' engagement is more important than ever. Congressional races across the country can make a difference in shaping the future of our industry. 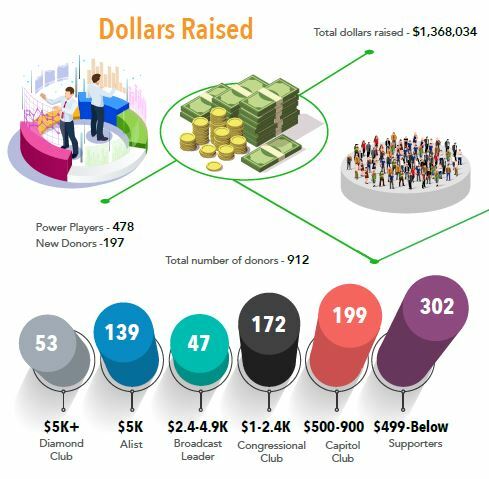 $1.368 million raised and 912 donors - the highest totals ever in a calendar year. NABPAC spent $2,560,122 to support 297 candidates up for election. Local broadcasters supported 13 in-state events hosted for members of Congress. NAB's advocacy team is continually educating and meeting with members of Congress on important broadcasting issues like retransmission consent, performance fees and the spectrum repack. 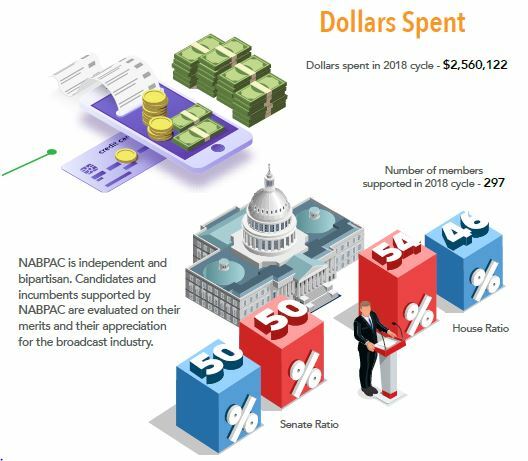 Engage hundreds of new broadcasters in NABPAC advocacy.